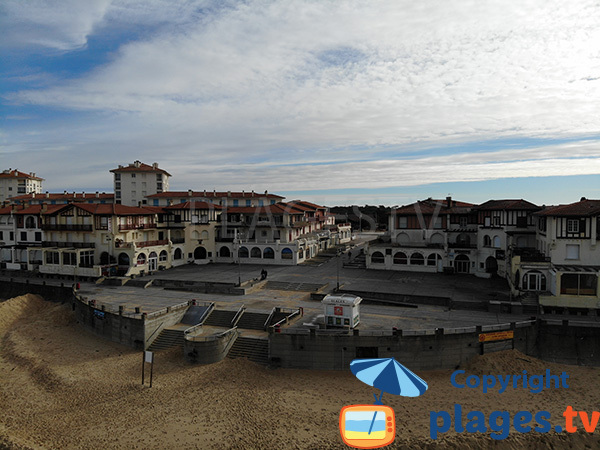 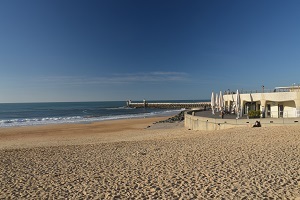 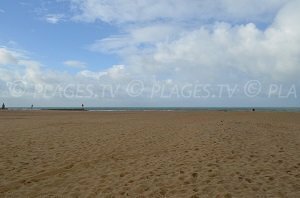 Central Beach in Hossegor is located downtown in this seaside destination near the Place des Landais (where we find restaurants and cafes). 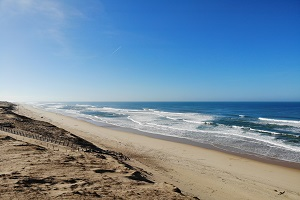 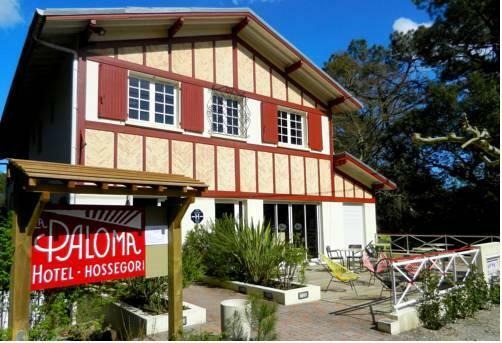 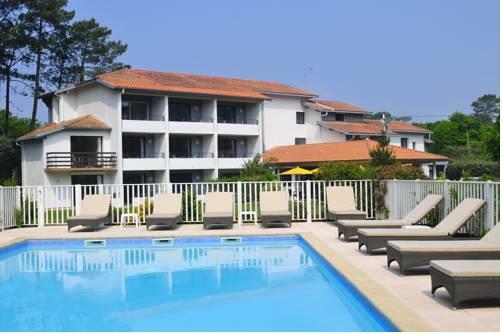 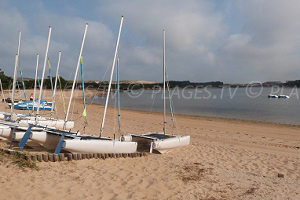 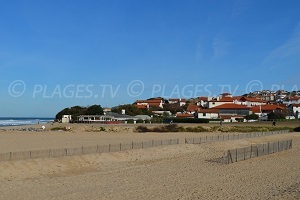 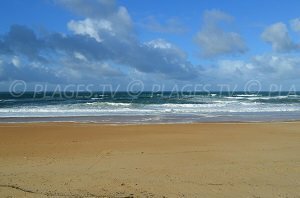 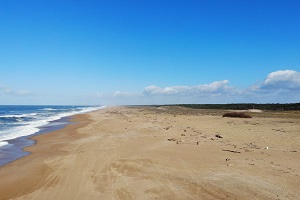 It is the most frequented beach in Hossegor. 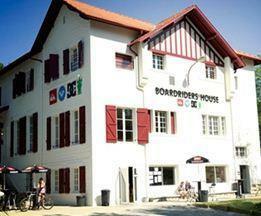 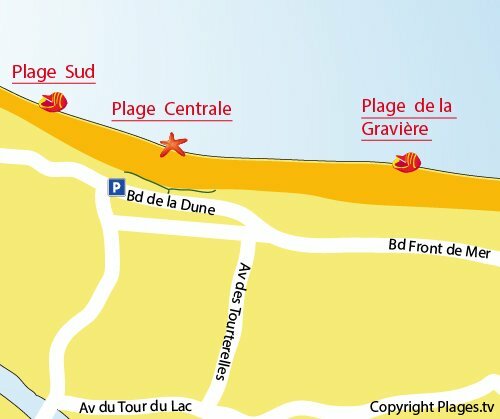 During the summer there is a lifeguard. 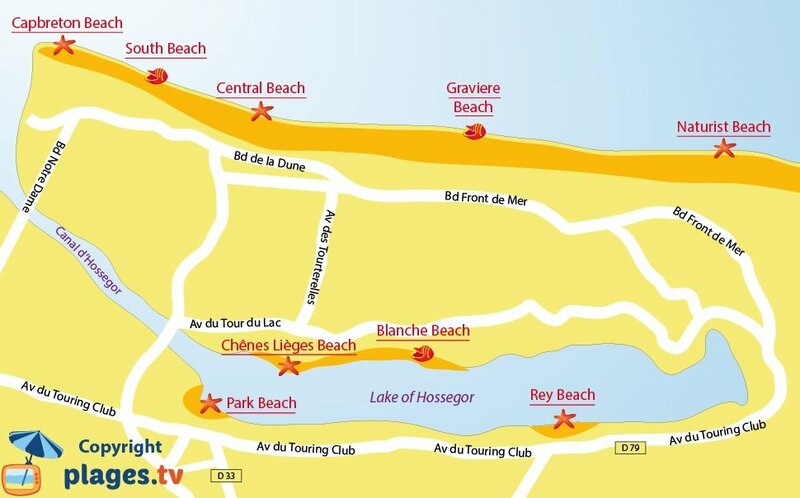 We find many places to park on boulevard de la Dune (free). 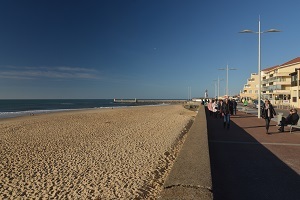 The beach is accessible by stairs. 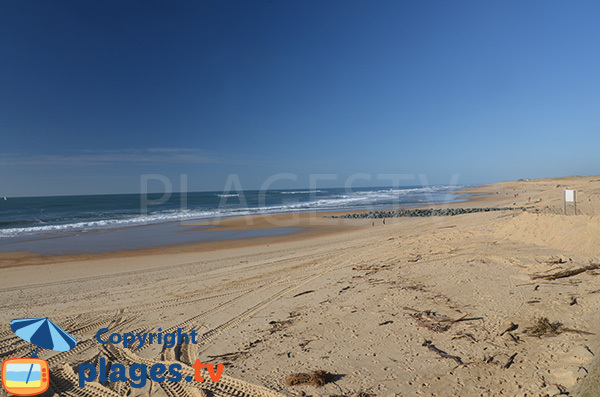 We are on the main Beach in Hossegor. 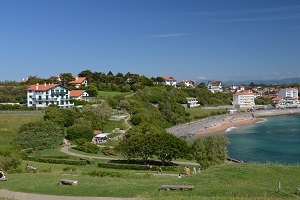 There are only a few houses and businesses. 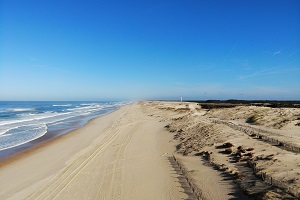 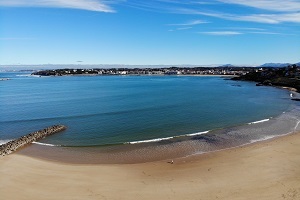 To the left is the big sand beach. 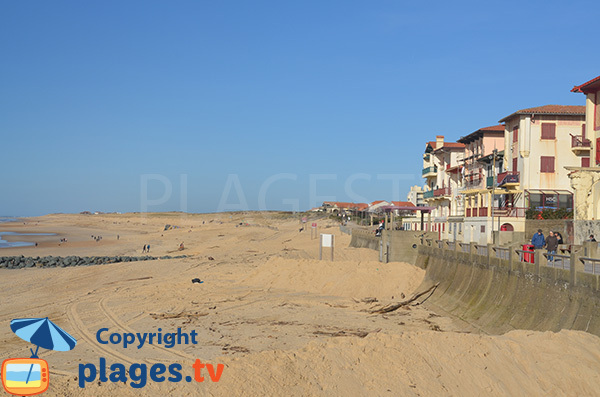 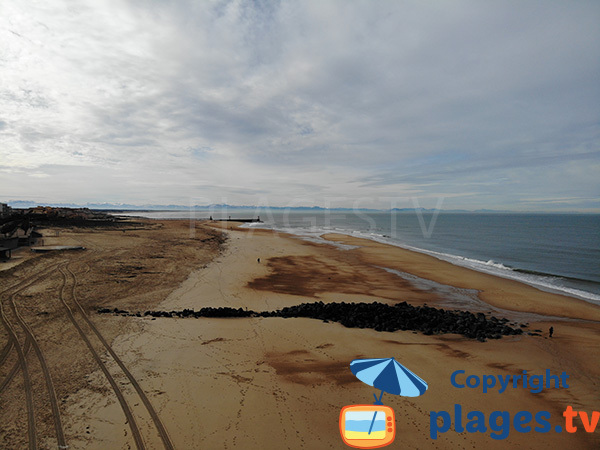 Further, we see the entrance to the harbor in Capbreton. 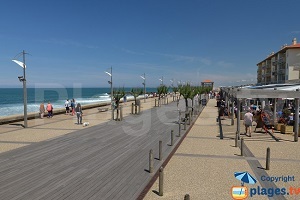 Here is the main road in downtown Hossegor. 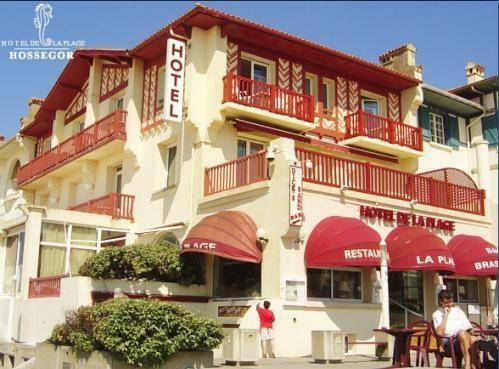 We find restaurants and cafes.